This Kanna Liquid Aromatherapy Extract is one of the Top Sellers at our shop, and is crafted with the utmost care from our highest grade White Kanna. Every ounce contains approximately 5 grams of Sceletium tortuosum (Kanna) in it, making it a 5x extract. This is one of the new favorites at the shop. This Kanna Liquid Aromatherapy Extract is one of the Top Sellers at our shop, and is crafted with the utmost care from our highest grade White Kanna. 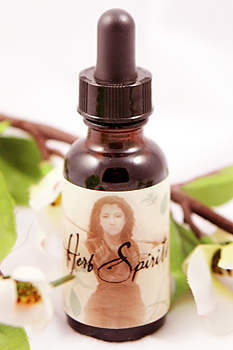 Every ounce contains approximately 5 grams of Sceletium tortuosum (Kanna) in it, making it a 5x extract. This is one of the new favorites at the shop, and since Kanna is still relatively new in the marketplace, we are constantly researching new and more effective ways of bringing this amazing plant with such a long history to you as an incense component or aromatherapy blend. Kanna has centuries of traditional use by the indigenous peoples of Africa. According to folk-belief, the practice of chewing the dried plant was considered to be calming and pleasantly relaxing. In our opinion, kanna is a neglected plant, if only for the reason that the traditional use of kanna in Africa bears obvious similarity to that of Kava Kava in Polynesia, we anticipate that this neglect will soon come to an end. WARNING! Kanna is believed to act as a Selective Serotonin Re-uptake Inhibitor (SSRI). Do not ingest this products as it interacts with common psychiatric medications including other SSRIs (such as Prozac) and MAO Inhibitors. This product is not intended for human or animal consumption. It's sold for use as an incense or for aromatherapy purposes only.